Customer management and data driven marketing is growing at lightning speed. And Kaplan, one of Scandinavia’s leading customer management agencies, is in the forefront. We work with many of the Nordic region’s most well-known brands and we are looking for new brilliant minds to join our amazing team. 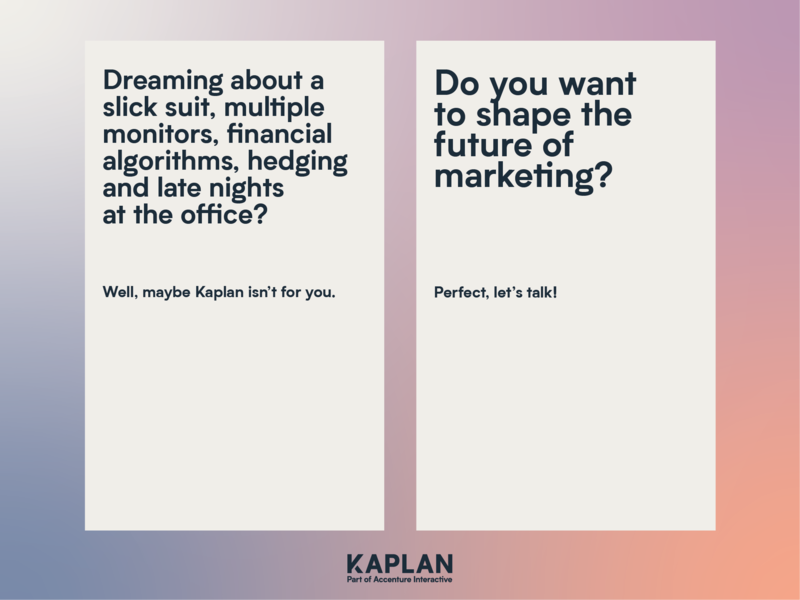 Do you want to shape the future of marketing and work in truly cross-functional teams across technology, creative, strategy and analytics? Creating clever and brave work that brings people closer to our clients. Getting them to care, identifying themselves with the brand and urging them to act. Thought so.